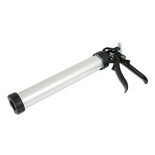 A heavy duty caulking gun for use with standard cartridges. 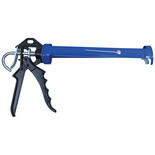 Featuring a high thrust lever action and blockage remover on the barrel. 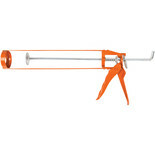 This has been constructed with a coated steel frame to protect from rust and is suitable for most tubes from 270ml to 425ml. 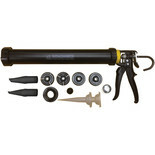 This handy kit is manufactured for the easy, effortless removal of old sealant & grout. 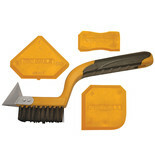 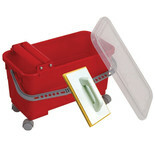 Complete with a sharp metal scraper and 3 applicators. 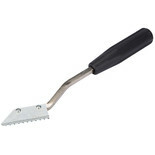 The Vitrex tile cutter features a tough tungsten carbide blade and cuts quick accurate circles. 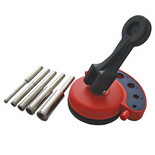 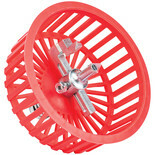 This tool is adjustable from 20 - 95mm and is suitable for ceramic tiles. 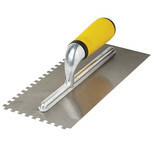 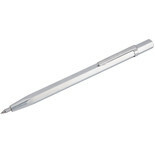 This Tungsten Carbide Tile Scribe is the ideal for scoring and cutting delicate ceramic tiles, glass and metal. 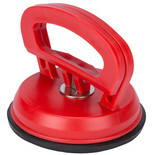 Features handy pocket clip for easy carrying.